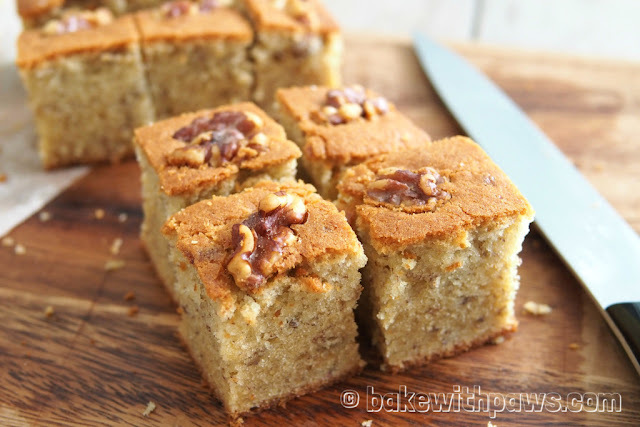 This is a banana cake recipe I would recommend highly. 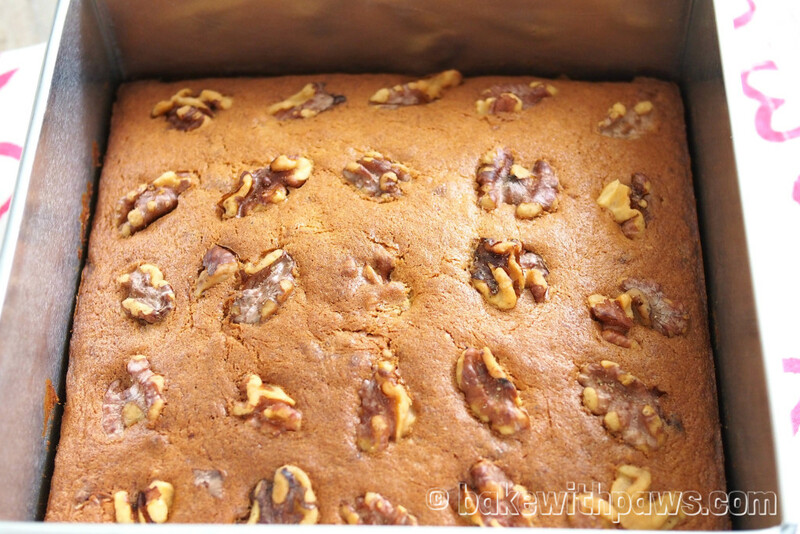 It is shared by Mandy, my girlfriend from Penang who bakes expertly for her kids. The cake is very moist. I have baked it once before a few months ago when she first shared with me but I didn’t manage to take any photos of it then because it got eaten up so fast. I tried it again recently but with reduced quantities as I did not have enough banana. As a result, my cake did not turn out as tall. But, still the result still tastes just as good. Walnuts or any nuts for topping. 1. Lined the bottom of square baking tin (7 inch X 7 inc). 2. Preheat the oven to 180 C.
3. Shift flour, baking powder and baking soda, then whisk in salt together in a bowl and set aside. 4. Cream butter and sugar till light and creamy in a bowl of stand mixer. 5. Add in egg one at a time and beat till creamy. 6. Add in mashed banana and vanilla extract, then mix well. 7. Fold in the flour mixture then follow by mixing in the milk and mix well. 8. Pour the batter into the prepared baking tin. 9. Bake for 50 to 60 minutes or until cake is golden brown and a cake tester inserted comes out clean. 10. Place on a wire rack to cool and then remove the bread from the pan. 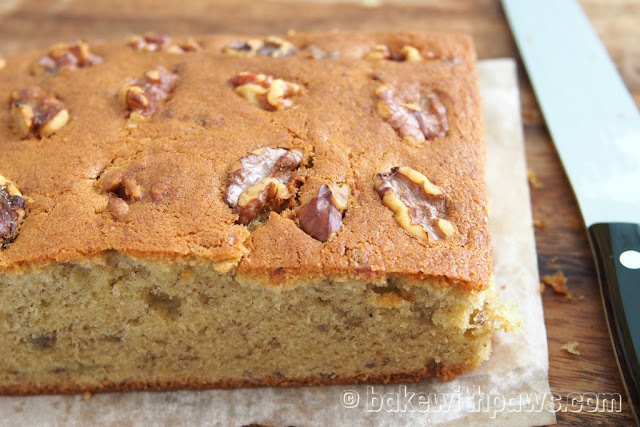 I love banana cake, so this looks perfect! I have to make this. Thank you for your comments. Hope you will like it too.